Frugal tips definitely work for me!! Today's edition of WFMW is all about the frugality. 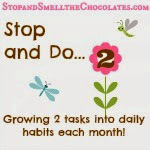 I was trying to think of what fabulous frugal tip to share with you when I realized that I have already shared a few on this blog. 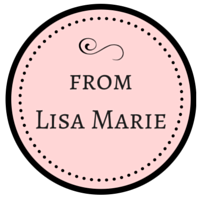 I thought it would be best to round up all my frugal tips so you could find them all in one spot! I hope you find a new tip that you can use! 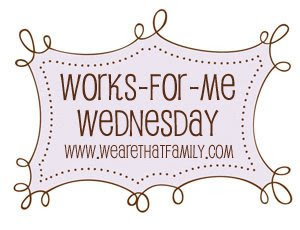 For lots more frugal tips, stop by Works-For-Me-Wednesday hosted by We Are THAT Family! Have a blessed and frugal day!! Well aren't you just miss frugalness! LOL. 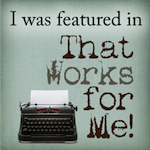 I didn't realize there was the frugal theme this week but what I posted went perfect for that! LOL. Big back link love size hugs to you! Going to check out the instant oatmeal mix and slow cooker recipes. Love my crockpot!! I haven't been visiting that long so I would not have known. Here's a tip for you, I sometime get a red thing in the whites. so I found a product that will keep everything from turning Pink,Hubby in pink undies just isn't right-lol. Shout Color Catcher Washcloths by Johnson. Here's the frugal tip...You can use it over and over and over....until it is black. Making that box last a long time. Well worth the Cost.I have no pink or gray whites since I have been using them,5 years now.